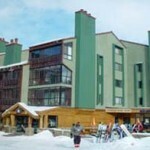 Center Village: Find Copper Mountain Lodging right in the middle of it all! Village Center is home to the American Eagle and America Flyer high-speed, quad lifts. 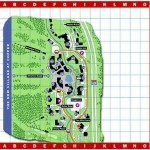 Nearby you’ll find an ice rink, paddle boat pond, popular eateries and shopping. Find accommodations within walking distance to all the winter and summer activities that Copper Mountain has to offer when you stay at Copper One Lodge, Village Square, or Passage Point Lodge to name a few. We have a variety of vacation properties in Copper, look over all the accommodations we have to offer and book your Copper Mountain Resort vacation now! 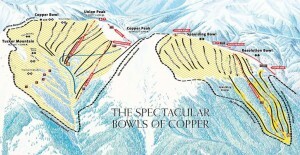 Copper Junction is situated in the heart of Copper’s Center Village—a true Ski-In/Ski-Out location. This condo features a loft-style, master bedroom with a queen bed and 3/4 bathroom. There is a full bathroom on the main level. For additional guests, there are three sleeper sofas—two twins and a very comfortable, queen-sized sleeper. This property can accommodate 6 guests. The Cache at Union Creek is located just 150 yards from Center Village. 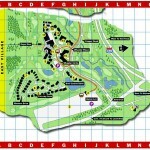 This newer development is near Copper Ski & Ride school, and is an ideal location for beginning skiers and families. Just a few minutes walking distance from The Cache is the Union Creek Quad Chair lift, providing guests with easy access to get on the mountain. For those looking for a central location without the hustle an bustle of town, The Cache is great for peaceful lodging while still being close to restaurants and shopping. Copper One Lodge is ideal for those looking for an authentic Ski-In/Ski-Out location. Have access to The American Eagle or American flyer lifts just steps away from your condo. Located in the heart of Center Village at Copper Mountain, Copper One Lodge features a spacious outdoor hot tub, steam room, underground parking, and exercise equipment. Enjoy the many activities and amenities during your Copper Mountain Ski Vacation when you book Copper One Lodge. Find awe inspiring views from Passage Point Lodge. This modern complex features views of the ski slopes at Copper Mountain and Ten Mile Range. 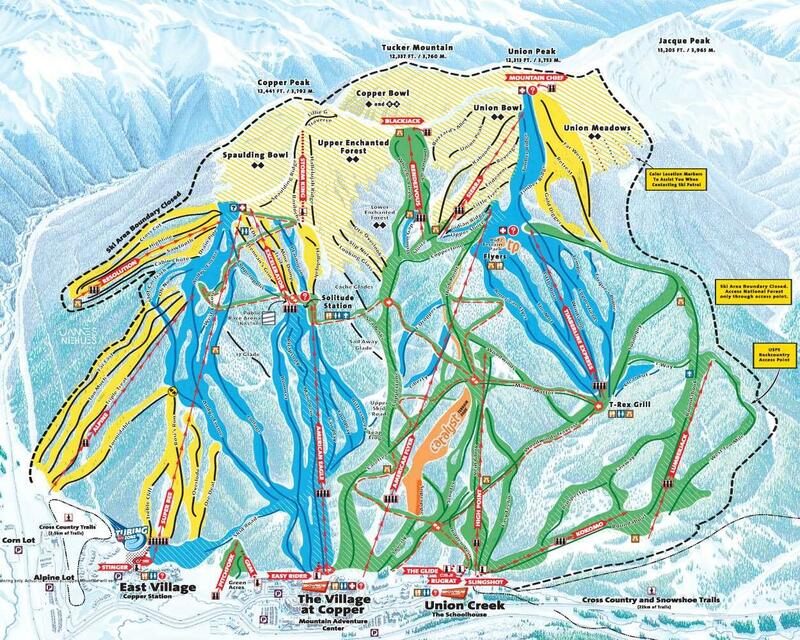 Passage Point is just a short walk to both the American Eagle and American Flyer, High-Speed, quad chairlifts. Soak in one of the three hot tubs after skiing or head over to the outdoor Climbing wall. Enjoy easy access to delicious restaurants and unique shopping when you stay at Passage Point in Center Village. 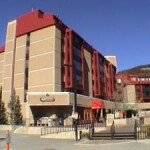 Amenities include underground parking, exercise room, ski locker room, and access to Copper Mountain Athletic Club. 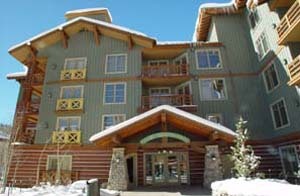 Spruce Lodge, located in Center Village at Copper Mountain is adjacent to shops, restaurants and rentals at Burning Stone Plaza. These spacious, Ski-In & Out Copper Mountain vacation rentals are as close to the slopes as you can get with the American Eagle and American Flyer lifts within walking distance. Admire the stunning views of Ten Mile Range or the Sky Chutes and easy mountain access at this true Ski-In/Ski-Out vacation property. Summit House is conveniently located within walking distance of Center Village at Copper Mountain and the American Flyer, high-speed, quad lift. These well-maintained, spacious accommodations, feature two- and three- bedroom units with panoramic views, a kitchen, and ample living room space. Relax at your home-away-from-home after an adventurous day on the slopes, or a fun night out in Center Village. The coziness of Summit House— an affordable, quiet home base just minutes away from the lifts awaits you. Tucker Mountain Lodge is located in the heart of new Center Village, just steps away from the American Eagle and American Flyer ski lifts. Appreciate beautiful mountain or ski area views from your Copper Mountain condo at Tucker Mountain Lodge. Step into the enchanting atmosphere of a historic National Park Lodge when you enter the lobby of Tucker Mountain Lodge. When you exit the lobby, you’ll be directly in front of the outdoor Climbing Wall. Your rustic, backcountry Copper Mountain Lodging includes an outdoor hot tub, sauna, and fitness center. Village Square Lodge is conveniently stationed in the middle of Center Village and presents astonishing views of both the mountain and Ten Mile Range. These centrally located units are just steps from the main lift, the American Eagle. Take friends a family to the new outdoor Climbing Wall or experience one of Copper’s popular eateries in the new Village. East Village Condos: Along with the homes listed below, there are a variety of condos including The Greens, Village Point, Snowflake, Foxpine Inn, Wheeler House, Anaconda, Peregrine, Summit House East, Elk Run and the newer Copper Springs. 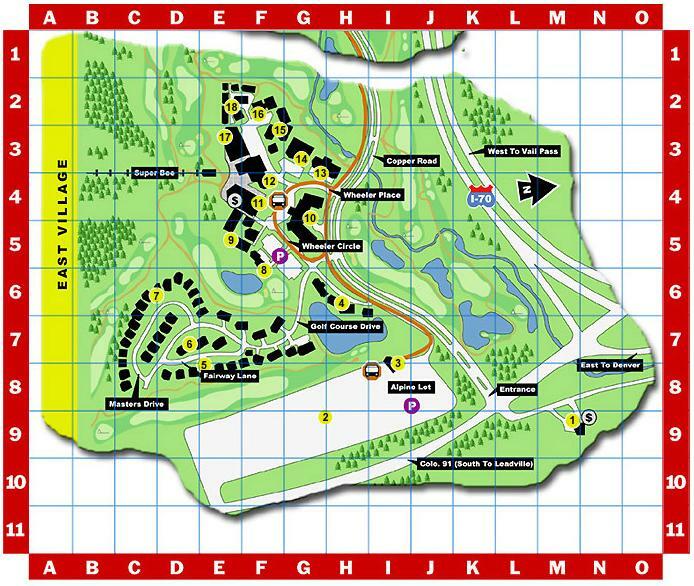 East Village has easy access to A Lift and the Super Bee, with shops, restaurants, entertainment, and the golf clubhouse at the base of the Super Bee. 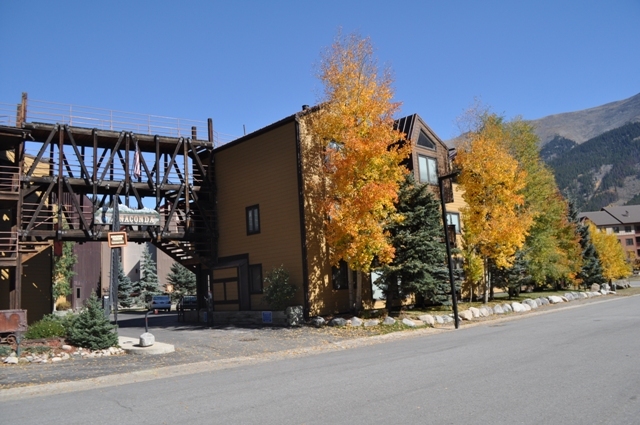 Welcome to Anaconda Lodge— these Copper Mountain condos are located at the base of Copper Mountain’s East village 200 yards away from the SuperBee chair lift. Anaconda Lodge hosts 24 units amongst 4 buildings boarding the 8th fairway of Copper Creek Championship Golf Course. Guests are invited to soak in the outdoor hot tub and take in the stunning views of the ski slopes and Ten Mile Range. 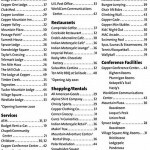 Copper Springs Lodge is located at the base of the SuperBee, a high-speed, six-passenger lift at the Copper Mountain Resort. 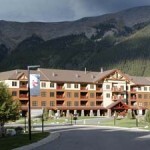 Additionally, Copper Springs Lodge is about 75 miles west of the Denver Airport between Frisco and Vail. Outside the front door of your accommodations the FREE Summit Stage shuttle and ski bus await to take you on a winter adventure to nearby ski resorts including: Breckenridge, Keystone, Arapahoe Basin, the town of Frisco and the Silverthorne, and Dillion Factory Outlets. 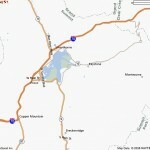 Vail is located just 20 to 30 minutes away on the I-70. 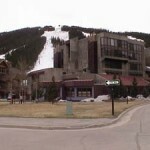 The Fox Pine Lodge is located central to East Village at Copper Mountain near the SuperBee Lift. This wonderful location is at the base of the ski area with stunning golf course and ski area views. There is assigned parking for guests and units are located directly across from the shuttle bus stop— providing easy access to the guests of Copper Mountain Ski Resort. Snowflake Lodge is at the center of East Village and is a Ski-In/Ski-Out building. This building is handicap accessible, has an elevator, and is a great set up for a family vacation. When you stay at Snowflake Lodge, you can take the Super-B high-speed, six-passenger lift to the top of Copper Mountain in about 9 minutes. Golfers can tee off at the nearby Copper Creek golf course. These Copper condos are 4 blocks from the Health Club and walking distance from ice skating and the tubing hill. At Union Creek you’ll find the Union Creek Ski Center, the stables, and the Nordic Center. 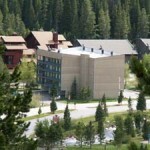 Copper Mountain Condos include: The Lodge at Copper, The Union Creek Townhomes, Beeler Townhomes, and Telemark Lodge. Book your next ski vacation in one of Coppers newest buildings, The Cache at Union Creek. These slope-side, ski-condos are great for families who want to take advantage of nearby rental shops, Ski School, coffee shops and restaurants, while being tucked away behind the resort into private, home-like setting. The Cache also provides quick access to the mountain via Union Creek Lift. Copper Mountain’s award-winning trail layout features gentle, sloping runs on the west side that get progressively steeper as you head east. Skiers and boarders of all abilities can enjoy the terrain without having to worry about congested bottleneck areas or tricky routes to the bottom. Driving Times: From Denver International Airport: 1 Hour 35 minutes / 100.5 miles / From Eagle County Regional Airport: 1 Hour / 54.7 miles Allow additional time for seasonal driving conditions and traffic. Alpinista is open for breakfast, lunch and dinner, with great Happy Hour specials, kids menu. Indulge at the Belgian Bean with Belgian Style Waffles that are to die for and a great cup of coffee. Grab a small coffee or hot chocolate and a waffles for just $5 on your way to the chair lifts. Welcome to C.B. Grille, Copper Mountains most intimate and elegant dining venue. Our menu presents high country’s finest flavors including specialty entreeś like Smoked Wild Alaskan Salmon, Grilled Stuffed Free-Range Chicken Breast, and Copper Mountain’s highest quality steak options, grilled to perfection over a wood fired grill. Take your special date or have an intimate dinner party with friends at C.B. Grille. For small parties, a fireside private dining room can accommodate your guests. C.B. Grilled is located across the Covered Bridge at Passage Point, next to Starbucks. Stop in at Camp Hale for a fresh-made sandwich or delicious salad to fuel up after a fun-filled day on the mountain. Grab a hot coffee or hot chocolate from the Espresso Bar at Camp Hale featuring Seattle’s Best Coffee drinks. We also have an great selections of pastries, muffins, cookies and other delights for that kids are sure to love. During your visit, pick up one of our coffee cards and save throughout your Copper Mountain Ski vacation. Visit Camp Hale on the first floor of Copper One in the Mountain Adventure Center. Satisfy your craving for a delicious dog or bratwurst at Copper Red Hots. Here they specialize in hot dogs, bratwurst, and sausages that everyone in your family will love. There are over 20 topping combinations to fulfill your cravings and satisfy your hunger. 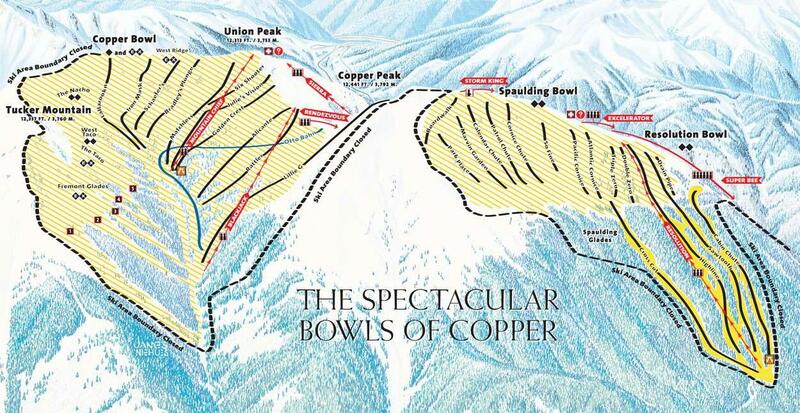 Copper Red Hots is conveniently located next to the American Eagle Lift. Take a relaxing break on the patio and enjoy your specialty dog or pick one up on your way up the lift! At Endo’s Adrenaline Cafe, “if you ain’t flying’, you ain’t trying!” Capture the true spirit and energy that embodies Colorado’s high alpine sports at Endo’s Adrenaline Cafe, where an all-day menu offers local favorites including: Endo’s Mondo Nachos, Angus Burgers, crisp-delicious salads, a turkey melt and of course, a soup de jour. This is the place in town to party and eat some delicious food, the party kicks off daily at 3 pm. You don’t want to miss out on the daily drink specials, especially Coors Apres on Saturday, which offers Coors Big Cans. $3 Coors and Coors Light drafts all day, everyday at Endo’s Adrenaline Cafe. Satisfy your palate at Imperial Palace with delicious Mandarin, Szechuan and Taiwanese favorites. Food is prepared with low cholesterol, low sodium, and no MSG. Enjoy 2 for 1 domestic beers during happy hour, daily from 3-5pm. Imperial Palace is open daily for lunch and dinner—and is located in Village Square Plaza. For large groups over 30 people, please call for specials. Imperial Palace is open daily from 11am-10pm. 970.968.6688. Enjoy eclectic American cuisine at the Incline Bar and Grill which features barbecue, rotisserie, salads, sandwiches, fajitas and a kids menu. Join the Incline Bar and Grill for lunch, dinner or apres ski on the mountain. Located in the Mill Club. If you’re looking to catch the big game or some live music, head over to Jack’s Bar. Here you’ll find your favorites teams playing on one of the many TV’s. A live band playing all of your favorites is at Jack’s Bar every Wednesday-Saturday. Check out the great daily drink specials or order a beer and bratwurst combo. Find the best Infused Bloody Mary’s in Copper Mountain at Jack’s Bar. Join us daily from 10am-6pm or go big at Jack’s apres, daily from 3-6pm. Jacks Bar is located next to Jack’s Slopeside Grill. Jill’s Outdoor Bar is the only exclusive Umbrella Car in Copper, located on the Conference Center deck, near the Flyer Life. Jill’s bar has great mountain views with a distinctive European setting. Pizza Carlo is Copper Mountain, Colorado’s best pizza joint. Pizza Carlo’s menu includes: signature pizzas, giant calzones, pizza by the slice. hot deli subs, fresh salads, and a full bar with daily specials. Find Pizza Carlo at Center Village in Copper Junction. Salsa Mountain Cantina is serving up a “South-of-the-Border” menu to their guests. Order from a selection of homemade Southwestern specialties like tamales and relleños. They also offer a kids menu. Head over to the local’s favorite bar at Salsa Mountain Cantina where kids eat free on Sunday nights. Join Salsa Mountain Cantina for Lunch and Dinner. At Storm King Lounge you’ll find authentic Japanese cuisine. They have a sushi bar and dining area where you can get a table to share with friends. Enjoy fresh sushi rolls, nigiri, and other specialty menu items. Stop in at Tucker’s Tavern for The German Pauline beer on tap and other specials. This is the place where families eat and good friends meet. Grab a quick coffee and pastry on your way to the Super Bee! Camp Hale is a great stop to grab bagels, other baked goodies and a full cappuccino bar to keep your day going. 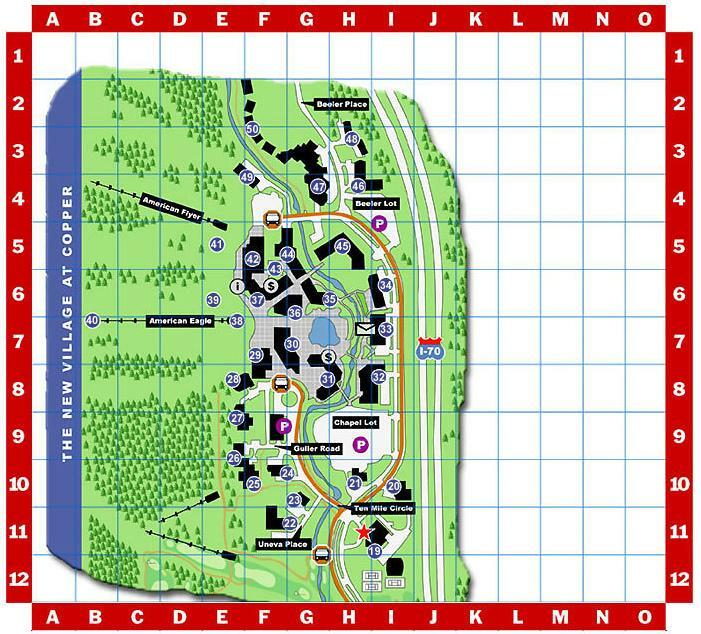 You’ll find Camp Hale at the base of the Super Bee on the first floor of Copper Station. The Double Diamond is a locally owned and operated restaurant serving sandwiches, a variety of steaks, pizza, and savory burgers. On Friday’s, the Double Diamond offers an all-you-can-eat Friday Fish Fry. The Double Diamond is open for lunch and dinner in the FoxPine Inn. Open daily from 11am-9pm. (970) 968-2880. Climb Aboard! Make your next stop Copper Station featuring a mountain side adventure with delicious menu selections. The Grand Hall is home of the 5 Spot at Copper Mountain. There you’ll find over 15 items for only $5 all week long. Grand Hall offers great value selections on pizza and beer ; they also offer Kids Eatz meals for $4.95. Get lunch at Copper Station between 10:30am-2:30pm. They are located on the 2nd floor of the Copper Station Lodge in East Village at the base of the Super Bee lift. JJ’s Tavern is a turn of the century tavern based on the legacy of local historical figures, JJ and Molly Brown. Experience the causal “chop house” atmosphere and high-country, lunch menu featuring stone oven pizzas, burgers, sandwiches, and big salads. Apres begins daily at 3pm with super sized drafts and live music performances by Wayne Faust, John Truscelli and Bert Fonte. Welcome to the family area at Union Creek, home to The Schoolhouse, the neighborhood ski and snowboard school just for kids. Union Creek features beginner friendly, family terrain just out the backdoor. The Union Creek Food Court offers a variety of kid friendly entrees and includes a kids only station, sure to bring a smile to your kids faces. Try the BBQ sampler plate or a slice of pizza with a Coors light. There are many great value combos to choose from. The Union Creek Food Court is open from 8am-3pm daily. The bar opens at 10am with apres to follow from 3-5pm. Head over to the West Village, next to The Schoolhouse to find the Union Creek Food Court. At Solitude Station BBQ, refuse your body after skiing and snowboarding with Cajun specialities. Solitude offers a variety of appetizing menu offerings including: homemade crawfish étouffée, jambalaya and gumbo. Other favorites here are the mouthwatering buyers, pizza and soup. For great value meals, check out the kids specials, the grill or pizza combos. Solitude Station BBQ is also serving hot coffee, chai tea, bagels and baked goods at Camp Hale Coffee. Find Solitude Station perched on Copper Mountain, Colorado at the top of the American Eagle lift. Stop in for a hot cappuccino and tasty baked treats at Camp Hale Solitude Station. Enjoy the stunning view of the Rocky Mountains while indulging in pasties, cookies and the full cappuccino bar featured here. Your hot coffee and pastry await you at the top of the American Eagle lift in Solitude Station! Warm up with a savory bowl of soup at the local’s little secret, Flyers Soup Shack. Here you’ll find ten cozy seats to enjoy delicious soup. On sunny days, catch some rays, tunes and outdoor barbecue on top of the mountain—a great place to meet up with friends and enjoy the surrounding spectacular views of Copper Mountain. For larger groups, inquire about booking Flyers for an outdoor event. Flyers Soup Shack is located on the mountain, at the top of the American Flyer lift; they are open weekends— weather permitting. Stay on the mountain and visit T-Rex Grill to enjoy a “cold one in one hand, and a great burger in the other!” This on-mountain nirvana is a great place to stop and enjoy the beauty of the mountain. Find plenty of seating on the multi-level deck surrounded by stunning views. They are open daily from 10:30am-2:30pm, weather permitting. Located on the mountain, at the base of Timberline Express lift. 9600’ is the go to place to get your gear on the mountain. At 9600’ you’ll find technical outwear for riders and skiers, as well as, fashion outdoor clothing, skis, snowboards and skis. Let the knowledgable staff assist you in finding top, name-brand outerwear, fashion outdoor clothing, snowboards and skis to suit your Copper Mountain vacation. Located in Village Square inside the Village at Copper. Open from 8am-6pm daily.970-968-2318 ext. 83096. Get custom fitted footwear for skiing or riding at Surefoot Boot Fitting Company. At Surefoot, they believe that because the initial point of energy transfer always begins at your feet, the ultimate fit of your footwear is extremely important. Stop by this state-of-the-art, unique footwear store and have one of Surefoot’s professional and friendly technicians fit you with the snowboarding or ski boot of your choice. (970) 968-1728. Take home the latest Copper logo gear from Copper Clothing Company. They have a variety of gifts for you and your family ranging from hats to fleece outerwear. 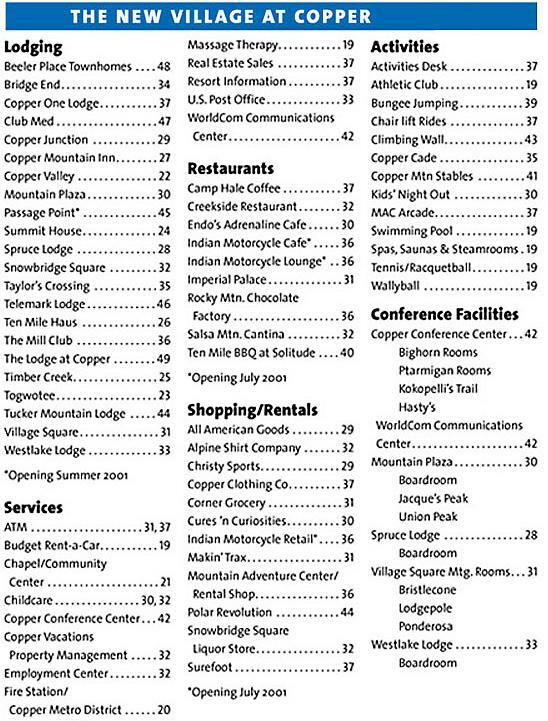 They are located in Copper One Lodge in the Village at Copper. Open from 8am-6pm daily. 970-968-2318 x. 45875. Breeze/MAX is a great place to get all of your mountain accessories! They have everything from gloves to hats, goggles, and CamelBaks. They carry an excellent selection of Copper logo gear. Breeze. MAX is located in the Village at Copper just at the base of the American Eagle lift. They are open from 8am-6pm daily. 970-968-6533. Gravitee is the new Free-Ride Headquarters. They offer trendy gear, accessories, and streetwear. they offer demos and tuning services for snow riders. They are open daily from 8am-6pm. (970) 968-0171. Check out some trendy and unique metal jewelry, watches and accessories at Metals Rock. They have eclectic jewelry that fits all styles and prices ranges. They are open daily from 9am-9pm. (970) 376-4972. Rock climbing gear, accessories for paragliding, shoes, and mountaineering enthusiasts. Reservations required to fly, but not to shop! 968-0100 and 389-3118. Ready Paint Fire is a unique pottery shop featuring paint your own pottery creations. Young children and young spirited adults alike love creating a long-lasting, unique memory while visiting Copper. For a wide selection of toys, hard candies, and clothing—GIGGLEWORKS offers a place where parents can stock up on kids essentials. Shop at All American Goods and find one of a kind gifts and jewelry from Colorado and gorgeous throws brought in from the Carolinas. Find many other interesting items for your loved ones created by talented craftspeople from all over the U.S. to Copper Junction. (970) 968-2211. 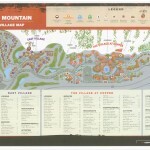 Find postcards, pins, and pendants from Alpine Shirt Company, an all inclusive souvenir store. They also carry Beanie Babies, sweatshirts is XL sizes, and bric-a-brac. For yourself, get a custom made t-shirt printed right on the spot! Located in Snowbridge Square. (970) 968-6368. Get a quick bite at McCoy’s Mountain Market. They have fresh produces, breads, cheese, health and beauty aids, as well as, film and video rental. They are open daily and located in the Village Square Plaza. (970) 968-2318 ext. 39801. Satisfy your cravings with a gourmet treat at Rocky Mountain Chocolate Factory. There you’ll discover a chocolate lover’s paradise, large caramel apples and ice cream! 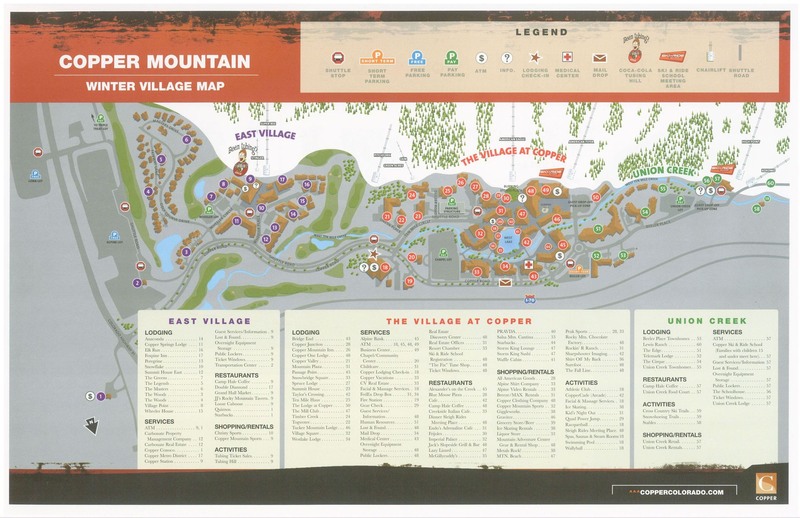 Located in Copper One Lodge in the New Village. Open daily from 11am – 7pm. (970) 968-2354. Relax with an ice cold drink after a fun-filled day in Colorado’s favorite backyard. For cold beer, wine, spirits, champagne and mixers go to Copper’s fine liquor store—Snowbridge Square Liquor. (970) 968-2623. The Wheeler General Store is located on the lower lever of Copper Station in East Village. Here you’ll find everything you need to prepare for a full day adventure on the slopes with first-rate ski and snowboard outerwear and accessories. They are also a full rental operation. They offer high and sport performance packages in skis and snowboards as well as kids gear. Sun. – Thurs. 8am – 6pm , Fri. and Sat. 8am – 8pm . 970-968-2318 ext.20501. Jack’s Bar is THE location for Rip-Roarin’ Aprés fun! You don’t want to miss out on Waffle Works at Jack Slopeside Grill during Après! They serve fresh, gigantic Belgian Waffles with all your favorite toppings. Jill’s Umbrella Bar is the Aprés ski destination this season! Jill’s is also the place to capture the spirit of the Main Vein Super pipe, where you can view all the action. Located in The Village at Copper just at the base of the American Flyer Lift. This outdoor umbrella bar sits in a sunny setting adjacent to Jack’s Bar. Jill’s Umbrella Bar specializes in Mojito’s and Long Island Ice Teas. Celebrate Jillian’s Irish Pub day every Friday by kicking up your Kilt. Men’s only contest at 3pm. Wear Green all day and enjoy special priced Killian’s Red Draught, Jillian’s Irish Coffee Special’s and Jameson Shots accompanied by Irish themed music. Once Woodard opens enjoy Woodward Days at Jill’s Umbrella Bar! Get the best views of the skiers and snowboarders of tomorrow trying new tricks in the halfpipe and off the big hit. Jill’s will have a DJ and MC for these events to announce the live action from the sunny patio. 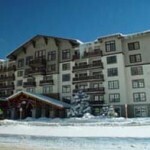 Ski Copper Mountain – Customize your Copper Mountain ski vacations with Rocky Mountain Resort Management. Copper Mountain’s award-winning trail layout features gentle, sloping runs on the west side that get progressively steeper as you head east. Skiers and boarders of all abilities can enjoy the terrain without having to worry about congested bottleneck areas or tricky routes to the bottom. If you’re looking for adventure, Tucker Mountain challenges enthusiast to try snowcat skiing. First time skiers can look forward to a beginner base area at Union Creek where new comers can practice and perfect their ski and snowboarding skills in like company. The base elevation is 9,700 feet with vast terrain and outstanding views—Copper is one of the most scenic resorts in Colorado. Purchase your Secret Pass lift ticket and experience Copper Mountain 15 minutes prior to normal entry and cut lift lines all day. With the Secret Pass lift ticket, you can take joy in getting maximum access to all of the adventure that Copper Mountain has to offer. Enjoy and fun-filled adventure away from home with Rocky Mountain Resort Management at Copper Mountain. Copper Mountain Ski Resort is perfect for all levels of experience—experts take on the above-timberline open bowls and defy the deep powder of Copper Mountain or head over to Arapahoe Basin and Keystone. When you take a break from a full day of broad cruising runs, get a delicious meal at one restaurants on or off the mountain. 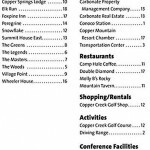 There are many options for on Copper mountain apres and dining. Off mountain, go ice skating and shopping with the mortals—there are a variety of bistros, cafés, and shopping. Rocky Mountain Resort Management is sure to host excellent accommodations in the area with the amenities that you desire most. Choose a lodging company that specializes in Copper Mountain Ski Resort vacation rentals like Rocky Mountain Resort Management. 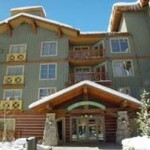 They provide rental lodging throughout Copper Mountain Colorado. 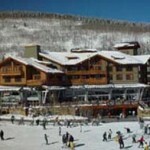 Locations span the ski resort in Center Village, Union Creek, East Village, as well as, Frisco Colorado. You will find Copper resort vacation condo rentals minutes from Breckenridge and Keystone—and centrally located in the middle of Copper’s golf course with access to horse stables, Lake Dillon and more. Many of our Copper Colorado vacation rentals are serviced by free shuttle. Rocky Mountain Resort Managements offers comparable pricing on lodging that is on par with other lodging around Copper Mountain Colorado and Summit County. Make booking uncomplicated with Our BEST RATE Guarantee. This means that you’ll get a guaranteed property at a better rate than alternative Summit County management companies and short term vacation lodging systems. 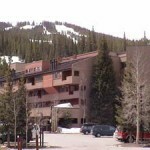 Find a centrally located Copper rental property or a Ski-In/Ski-Out rental condo in Summit County at RMRM.net. 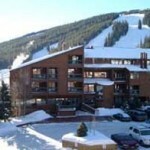 It is our mission to provide the Copper Mountain lodging that suits your needs beyond compare. Take a break from the city and find world class activities and festivals at Copper Mountain Resort Colorado. Copper Mountain Resort features some of the best festivals and activities in Colorado. See our EVENTS CALENDAR and BLOG. Rocky Mountain Resort Management makes Copper lodging and having fun easy. They offer their guests transportation, lift tickets, tour packages, and equipment rentals for the entire family at at discounted rate. Catch a free shuttle that travels Center Village and East Village bases where all the action is at Keystone Resort, the shuttle also goes to many of the outlying areas. Copper Mountain Resort also has a free parking lot. For guests who want to stay central to all of the activities, select one of our Ski-In/Ski-Out condos or a slope-side rental property to stay right at the Copper Mountain Resort. From there Center or East Village, you’ll be in the heart of Copper Mountain and walking distance from winter and summer activities such as skiing, snowboarding, horseback riding, mountain biking or taking a paddle boat ride at Copper Lake. There are bike trails throughout Summit County and Copper. Get some fresh air and take pleasure in an adventure filled, effortless getaway with Copper lodging. Have a fun-filled day on the slopes and then be welcomed into the cozy, homey atmosphere of our great value vacation rentals. Make a great choice when you book our Copper Mountain properties for your next vacation, our Copper Mountain accommodations feature a variety of amenities in Summit County, Colorado. 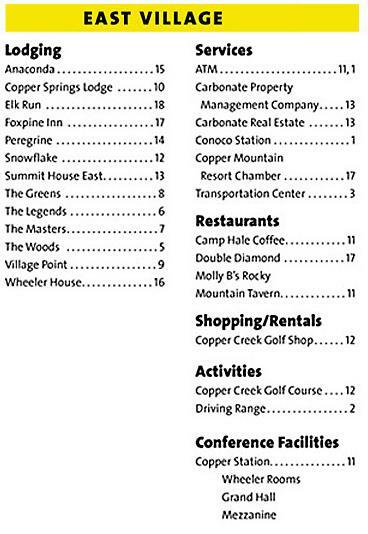 Rocky Mountain Resort Management features Copper Mountain lodging all over Summit County. Our Summit County Colorado vacation lodging and rentals can be found in Copper Mountain, Keystone, Breckenridge, Frisco, Dillon, Silverthorne and Wildernest. Each of our Colorado vacation rental condos offer a variety of different features, some including: updated-remodeled properties, stunning views of the mountains or ski slopes, steam showers, sauna’s, hot tubs, heated parking, pool, tennis courts, private laundry facilitates, private ski lockers and more. We welcome you into your Copper Mountain lodging with all of the basic starter supplies you need to start having a wonderful time on your vacation. Our vacation condos come stocked with linens, paper towels, coffee, tea, dish soap, and more. When you book with Rocky Mountain Resort Management—the premier Keystone Colorado lodging providers, you will be able to reserve the EXACT property you will be lodging at. 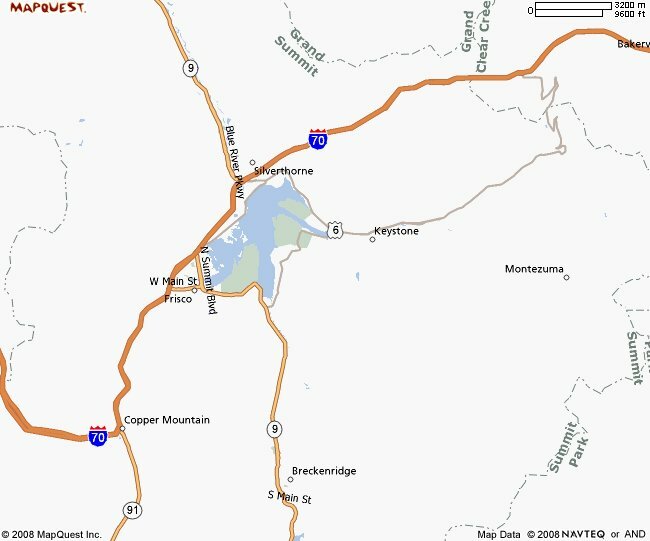 Copper Mountain is located in Summit County and is closest to Vail and Beaver Creek. This amazing ski resort provides world class experiences from the moment you walk out the front door of your Copper Mountain accommodations. Summit County, Colorado has many adventures to offer everyone in your family—from skiing, snowboarding to tubing and other winter sports, there is something for everyone! World travelers vacation in our beautiful, Alpine backyard—and now it’s your turn. Book your Copper Mountain lodging with Rocky Mountain Resort Management, and experience a new home-away-from-home in worry-free condo rental lodging and vacation packages. Book with confidence when you get lodging with Rocky Mountain Resort Management, they provide a Best Rate Guarantee and your Copper Mountain Colorado Resort accommodations will not break your ski vacation budget. Get away to Copper Mountain for a family adventure this winter, Copper Mountain is a fun-filled, family-friendly vacation in Colorado.